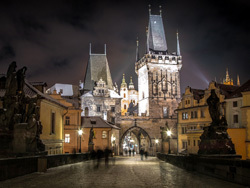 “Golden city”, “Mother of Cities”, regardless of how you want to call it, Prague is a unique city, a precious jewel that you should cherish when visiting. Prague is very beautiful throughout the year, but the Christmas period (when I visited) in Prague is absolutely incredible. Imagine a sumptuous and traditional Christmas mixed with a Gothic and baroque city, with moving and thrilling architecture. A mixture that is truly unique in the world, don’t you agree?